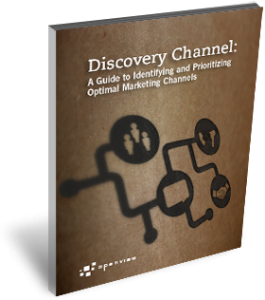 Identify and prioritize the best channels for customer acquisition and engagement. This eBook provides a high-level overview of a marketing channel selection process for expansion-stage companies. It is intended for senior executives and project managers to make sense of the wide and complex range of marketing channels that help bring their message to their customers and pinpoint the ones that are most effective at engaging those customers.